Poisoned apples…glass slippers…Prince Charming. Who needs ’em? 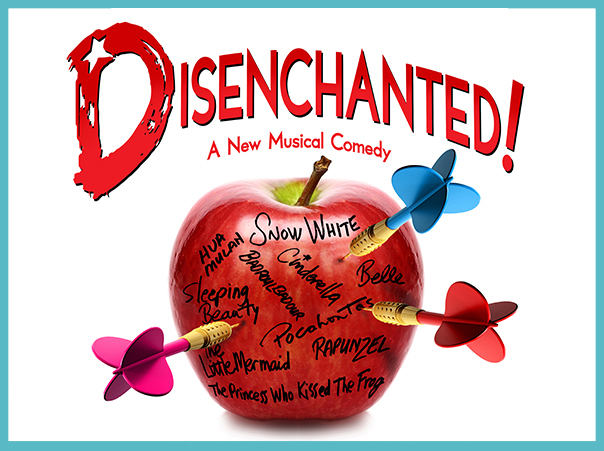 In this Disney-Princesses-Bridesmaids, hysterical and very direct musical, Snow White and her possé of sassy princesses prove that everyone has a dark side when they toss off their tiaras in an absurdly cheeky (and definitely NOT for the kiddies!) theatrical romp that’s anything but Grimm. Cinderella is kind of a nitwit; Snow White can be a little mean, and Sleeping Beauty? Apparently, she’s narcoleptic… and all three are “disenchanted.” When it comes to fairy-tale princesses, those are the “Big Three,” but they’re not the way Disney, let alone the Brothers Grimm, created them!